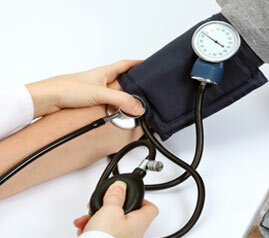 I recently read in USA Today that more than 67 million people suffer from high blood pressure in United States. The comparison here by extension would equate to approximately 7 million Canadians. High blood pressure or HBP also called hypertension is thought to be responsible for much of the heart disease and strokes that occur in the general population. Many adults with HBP that you speak to will be on a combination of beta blockers, meds for high cholesterol and a host of various other pharmaceuticals that are prescribed. It is my opinion that the majority of people can manage their blood pressure naturally without resorting to lifelong medications that can have deleterious side effects. So what to do and where to start? The reality is that if you do not want to make concrete changes in your current lifestyle it is highly unlikely that you will conquer the blood pressure foe. Einstein said that the definition of insanity is repeating the same behaviour and expecting a different outcome. Personally my family history is inundated with members who have displayed high blood pressure.High blood pressure is currently described as any pressure that exceeds 140/90. Interestingly enough when my father graduated and was practicing the benchmark for high blood pressure at that time was basically 100 plus your age. The 140 number was used for the modern upper number, perhaps arbitrarily. Regardless of the actual numbers it makes sense that lower is better than higher when evaluating your health and wellness. Now there are several factors that will elevate your blood pressure one of which in known as white coat syndrome. In other words people get a little stressed out when their BP is taken so it elevates. The following are my tips to lower you blood pressure and increase your health and wellness factor. You need to decide what is more important to you because you are moving closer to either health or death. Smoking …. Well smokers and non-smokers alike are pretty much in agreement that smoking is detrimental to your health and will elevate your BP. Now like most Boomers smoking was part of our history so all I can say is quit when the time is right and your body will reward you. Exercise … when the body is exercised it stimulates endorphins, various hormones and just functions at a higher and more efficient level. If you don’t currently have an exercise regimen do not springboard into excessive workouts. Start with a simple walking programme of 1-2k and gradually increase distance and speed. Remember this is a journey not a destination. Nutrition … I suspect that everyone knows what food is health friendly and those that are not. If you think the deep fried chocolate bars or the Nutella and Fries at the EX are not so bad then I suspect there is nothing in this blog that would be enlightening to you. Come on everyone likes a treat off the list like chips or whatever but it is a matter of moderation. Vegetables should be included in your daily meals. Sodium … Although I am not totally opposed to the salt shaker you need to look at processed foods and the amount of sodium that you are exposed to in these foods. Get into the habit of reading labels and you will learn a lot about nutrition. I suspect if the foods we purchased had no sodium content we would have a hard time overdosing on salt with the shaker. Recently a study showed that an upper cervical chiropractic adjustment lowered blood pressure by up to 16 points. It is my opinion that by having the nervous system function at its highest potential is critical not only to blood pressure but your overall health and wellness. Not getting your spine checked on a regular basis is folly in my mind. It’s like not brushing your teeth and then expecting never to have a cavity! It boosts immunity as well. Stress Factor… we all know people that can get wound up tighter than a drum. Stress can have a tremendously perilous impact on the human psyche. Well what is there to do in this matter? Consider breathing exercises, a hobby, laughing, meditation, yoga, mental imaging and the list goes on. Do not stress over things that you have no control over. A positive mental attitude and eliminating stinkin thinkin goes a long way. Caffeine and Alcohol… Well both elevate BP and you will see an almost immediate difference by simply switching to decaf. I suspect this will be a hard choice for some people but if all of this stuff was easy no one would have HBP or any habits that are not the best choices. Supplements …. There are any number of products out there that claim to the magic pill. You need to work with someone who can guide you through the gobbledygook and see what works for you. One such product that shows great promise for both BP and Cholesterol is called Bios Life. I have neither connection nor affiliation with the company but anything I have read on it is promising. Because of the limitation of time and space I have merely touched on these topics. If further information is required don’t hesitate to come to one of our workshops on the subject or email us for clarification info@oakvillechiropractic.com.